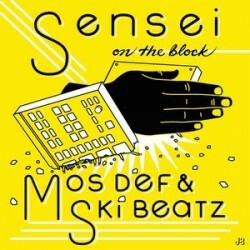 Unfortunately, “Sensei on The Block” wasn’t Mos Def’s comeback; the track was actually recorded in 2010/2011. Ski Beatz released it, without Yasiin’s permission. Drama ensued; with Ski Beatz formally apologizing for the mix-up on a since deleted video clip. With news of Bey’s pending retirement, this track (along with my favorites from Black on Both Sides and Mos Def and Talib Kweli are Black Star) will stay in heavy rotation on the iPhone. Second best steel-drum beat ever, behind 50’s “P.I.M.P”.